Orchid Cosmetic Medical and Wellness Center offers Botox to patients throughout San Jose, Los Gatos, Saratoga, Santa Clara, Palo Alto and the surrounding areas. Botox® before and after photo. Un-retouched pictures at maximum frown line before and after BOTOX® Treatment. BOTOX® Cosmetic is the most popular injectable among patients in San Jose bay area and the nation. Botox is a very effective and safe treatment, if used as directed by a physician, and recently celebrated 10 year anniversary of FDA approval. 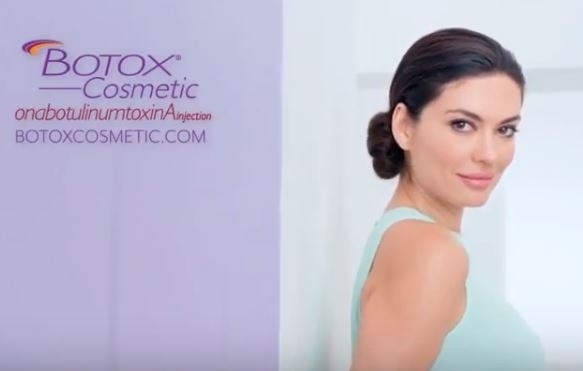 Made up of botulinum toxin type A, Botox temporarily paralyzes the wrinkle-causing muscles in the face, giving your skin a smoother, softer and more youthful appearance. Our offers and prices for Botox can be found in our promotions page here. We also recommend viewing some Botox before and after pictures and videos on our website. Botox is a purified version of Botulinum Toxin A, approved to temporarily relax frown lines in the middle of the forehead, just above the nose. Botox works by blocking nerve impulses to the injected muscles. This reduces muscle activity that causes moderate to serve lines between the eyebrows. Botox is FDA approved for patients from as young as 18 years old to as old as 65. All skin types may undergo Botox® Cosmetic treatments. The best candidates are women and men who are seeking to improve the look of fine lines in the brow area, smile lines or other areas of the face. Botox is FDA approved for temporary easing of frown lines and crows feet. Botox is not recommended for women who may be pregnant or breastfeeding as well as individuals with neurological disorders. Other uses of Botox in cosmetic dermatology include restoring youthful appearance by easing the horizontal forehead lines. However, such use of Botox is considered off-label use. During your consultation, Dr. Swati Mungekar will review your health history and examine you to ensure medical safety and identify specific locations for best possible aesthetic outcome. The procedure is done with very fine needle to insure minimal discomfort. We have developed special technique due to which many of our patients do not feel any pain when very small amount of Botox is gently injected in the muscle. This simple and safe procedure is usually completed in within 10-15 minutes, depending on how many sites are being treated. Side effects are uncommon and such risks are carefully considered and explained to you during health history exam. These are general guidelines for women. For men slightly higher number of units is needed. How soon can I get the results/ How long do the results last? Reduction or complete elimination of lines and excessive sweating with no down time associated with other conventional therapies. You will not see the full effect for three to ten days, and results last approximately four to six months. We suggest that you return for a visit after two weeks, to make minor corrections to get the natural look and feel you desire. After treatment instructions for Botox. You can return to work the same day and resume most of your regular activities. Using the injected muscles for a few hours after the procedure allows the medication to bind better to its receptor. Concerns about the treatment, and combining fillers with Botox treatment are answered for our patients in San Jose at our blog. Disclaimer: All product specific result pictures are from the manufacturer of cosmetic medical products and are presented as examples with the understanding that individual results may vary. Link to origin of these pictures is provided for review of further details.